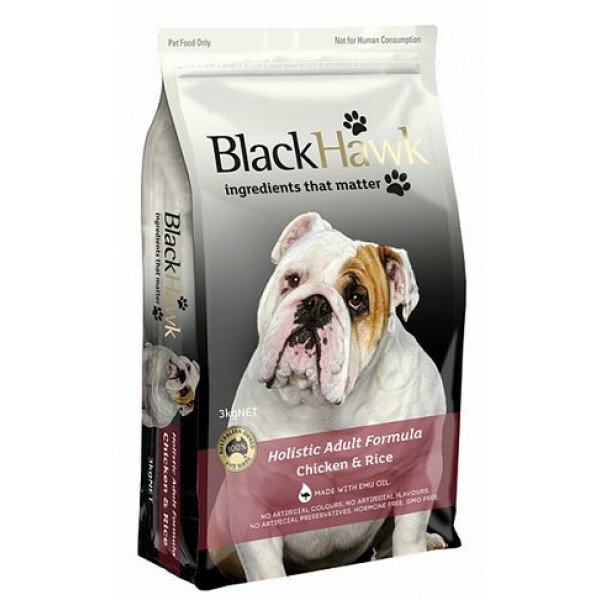 Black Hawk Chicken & Rice Holistic Adult Formula is designed to meet the AAFCO standards for growth and maintenance of dogs, ensuring your dog has the correct nutrients, vitamins and minerals for optimal health. Chicken Meal – lower in protein and fat, while also highly nutritious. Brown Rice – a complex carbohydrate and high in B Vitamins. Chicken Fat – a high quality source of essential fatty acids and energy. Lower energy, protein and fat. Sometimes used with low level pancreatitis issues, but please consult your vet. 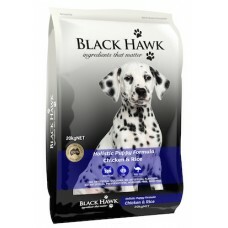 Chicken Meal, Ground Brown Rice, Ground Oats, Chicken Fat (preserved with mixed Tocopherols, source of Vitamin E, Citric Acid, Rosemary Extract), Rye, Flaxseed Meal, Fish Meal, Emu Oil, Dried Carrots, Dried Kelp, Natural Chicken Flavour, Choline Chloride, Chicory, Calcium Ascorbate (source of Vitamin C), Zinc Amino Acid Chelate, Yucca Schidigera Extract, Dried Blueberries, Dandelion, Peppermint, Rosemary, Tomato Meal, Vitamin E Supplement, Glucosamine, Chondroitin Sulphate, Iron Amino Acid Chelate, Manganese Amino Acid Chelate, Cobalt Amino Acid Chelate, Biotin, Vitamin A-Acetate, L-Carnitine, Calcium Pantothenate Niacin, Pyridoxine Hydrochloride (B6), Thiamine Monoitrate (B1), Vitamin B12 Supplement, Vitamin D3 Supplement, Riboflavin Supplement, DL Methionine, Folic Acid, Copper Amino Acid Chelate, Sodium Selenite, Calcium Iodate. 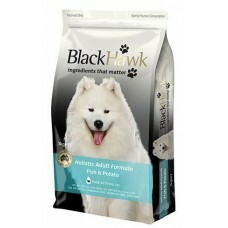 Black Hawk Dry Dog Food Adult Fish & Potato 10kg Black Hawk Fish & Potato ..
Snooza Futon Cover Blue Mighty The replacement cover for our Pet Futon. 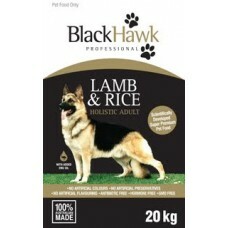 ..
Black Hawk Dry Dog Food Adult Lamb & Rice 10kg Black Hawk Professional Dog Foo..
Pet Goe Cleaner & Odour Eliminator 5L 100% Environmentally..
Black Hawk Puppy Chicken & Rice 20kg Black Hawk Chicken & Rice Holistic Pu..